1.1 What are anticoagulant plants? 1.2 What are anticoagulant plants used for? 1.3 Is it dangerous to use anticoagulant plants? ANTICOAGULANT or ANTIPLATELET plants are those that decrease the ability of fluidization of blood. They are also mentioned as blood thinners. This effect occurs because they are substances that block the coagulant effect of vitamin K.
What are anticoagulant plants used for? Anticoagulant plants can very be appropriate in phytotherapy to treat or prevent the onset of anomalies, such as thrombi or blood clots, due to poor blood supply as a result of excessive platelet aggregation. 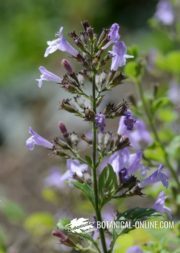 For example, the use of these plants may be appropriate to remedy conditions in which blood flow should be more fluid as heart attacks, angina pectoris, arteriosclerosis, etc. Summary sheet of the main anticoagulant medicinal plants. They should not be combined with each other or with drugs that have the same effect because there is a risk of bleeding. Is it dangerous to use anticoagulant plants? Other times it may be counterproductive to use some of these plants in people who are prone to ailments caused by a lack of clotting and nose bleeding, hematomas, etc. 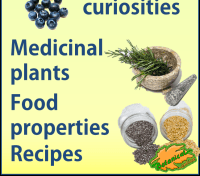 Within this group are some plants such as willow thinners, garlic, onions, thyme, rosemary, ginseng and licorice. It is necessary to consider that the use of remedies that contain anticoagulants is not recommended before and after surgical procedures because they can increase bleeding from the wound. – Ginkgo(Ginkgo biloba): Ginkgo is one of the best remedies to improve blood flow. 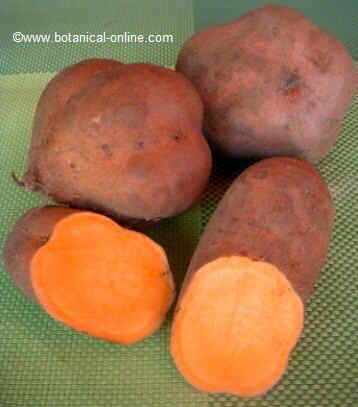 The reason lies in the ability of extracts of this plant to dilate blood vessels and cause blood to flow more smoothly. 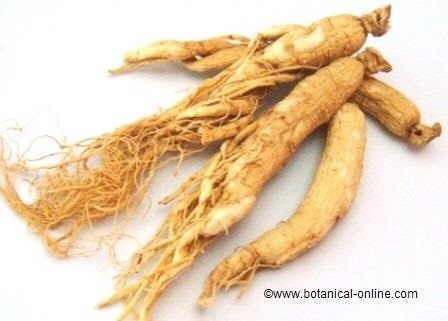 – Ginseng (Panax ginseng): Mainly because it contains magnesium. Ginseng, because it contains antiplatelet and vasodilatory components improves blood circulation to maintain the capillaries clean and dilated. – Willow (Salix spp. ): Mainly because it contains salicin, magnesium and quercetin. Willows have been used and are still being used as an alternative to aspirin (aspirin). Aspirin relieves pain and inflammation and it is used as a blood thinner. Aspirin was produced initially from this plant and from meadowsweet (Filipendula ulmaria), from wintergreen (Gaultheria sp.) from poplars (Populus spp.) And from some species of birches (Betula spp.) before it was chemically synthesized in 1890. – Horse chestnut (Aesculus hippocastanum): This plant is widely used in herbal medicine to improve circulation because it has venotonic and anticoagulant effects. Not for use in combination with drugs for circulation. When anticoaculant remedies are combined (drugs, plants and / or food) there is a high risk of bleeding. 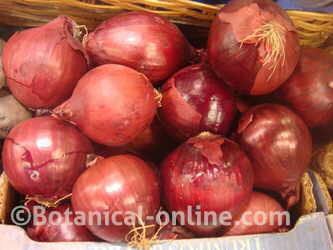 This means that you should not combine these plants with other remedies for circulation or blood-thinning medications. 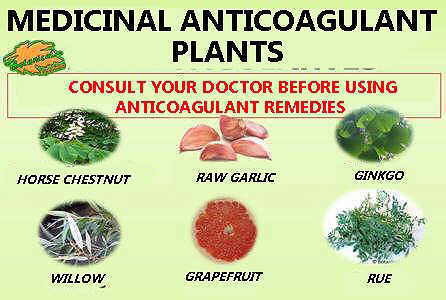 The use of anticoagulant plants can also be counterproductive in people who are prone to diseases caused by a lack of clotting such in frequent bleeding nose, bruises, etc. 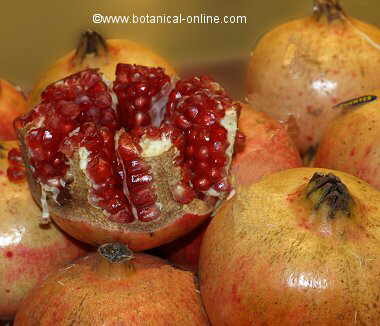 Besides those mentioned above, many other plants that may have anticoagulant effects. Among the most common are those rich in coumarins. Coumarins block vitamin K preventing thrombin formation (coagulation factor IIa), which is required to clot is formed. – Alfalfa (Medicago sativa): Because of its coumarin content, alfalfa prevents blood clotting. It should not be combined with drugs that have the same effect. – Clover (Trifolium pratense): With a lot of coumarin content, clover prevents blood clotting. It should not be combined with drugs that have the same effect. – Meadowsweet (Filipendula ulmaria): Its wealth of salicylic acid and coumarins prevents blood clotting. It should not be combined with drugs that have the same effect. 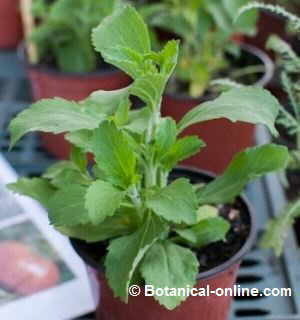 – Rue (Ruda graveolens): It contains coumarins as bergapteno with potent anticoagulant properties. Not to be combined with blood-thinning medications. 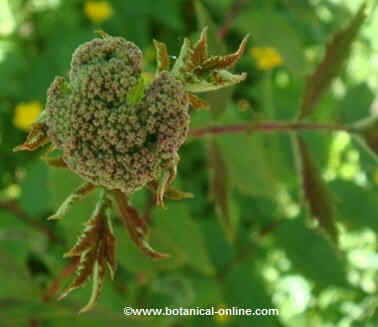 – Anise (Pimpinella anisum): It contains coumarin with anticoagulant properties. Do not use with drugs that have the same effect. – Sen (Cassia acutifolia): It has coumarins and anthraquinone with potent anticoagulant properties. However its usual use is not recommended because it causes intestinal dependence as a laxative. –Fenugreek (Trigonella foenum – graecum): It contains coumarins and saponins with anticoagulant properties. – Agrimony (Agrimonia eupatoria): with coumarin. This antagonistic effect of different food components indicates that food can modify or enhance the effect of plants and thinning medications. Due to the complexity of the subject, it is advisable to always consult a doctor or specialist. Fennel: (Foeniculum vulgare) Mainly because of its content in estragol and magnesium. Cauliflower (Brassica oleracea var botrytis) Mainly because it contains alpha-linolenic acid, caffeic acid, ferulic acid, magnesium and selenium. However, raw cauliflower is very rich in vitamin K, that is very necessary for blood clotting. Green Tea: (Camellia sinensis) Mainly because of catechins, epicatechin, quercetin, rutin and magnesium. 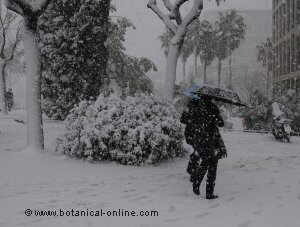 Carrot: (Daucus carota) Mainly because of its content in bergapten, falcarindiol, magnesium, and selenium myristicin. Banana tree (Musa paradisiaca) Mainly because of its content in alpha linoleic acid, tocopherol, magnesium and selenium. Parsley: (Petroselinum crispum) Mainly because of its content in myristicin, magnesium and selenium. Pineapple: (Carica papaya) Mainly because of its citric acid content. Papaya: (Ananas comosus) Mainly because of its content in citric acid and papain. 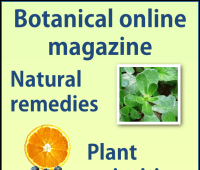 More information on anticoagulant and coagulant plants.